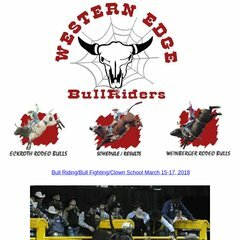 Westernedgebullriders.com's server IP number is 98.139.134.174. Its 4 DNS Records include, yns1.yahoo.com, yns2.yahoo.com, and ns8.san.yahoo.com. It is hosted by Yahoo Inc (California, Sunnyvale,) using YTS/1 web server. PING p9p.geo.asbs.yahoodns.net (98.139.134.174) 56(84) bytes of data. A ping speed test response, is timed at 35.5 ms.